Six color options for color coding. 1" adult wristbands are available with red, blue, green, yellow, pink or orange stripes. Increased durability. 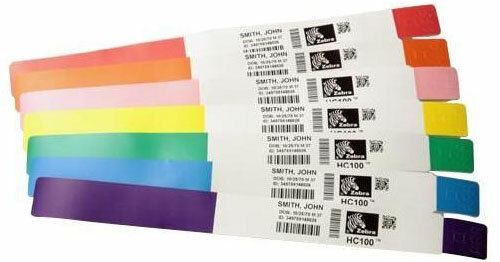 Z-Band Direct wristbands provide superior image durability and tensile strength. Printed information is legible and scannable for up to 14 days.